Megamenu navigation is coming to SharePoint Online communication sites in February. These tips will help you get started. Megamenu navigation for SharePoint was announced to great applause at the Microsoft Ignite conference in September 2018. In a blog post on January 30, Mark Kashman (senior product manager at Microsoft) announced that megamenu navigation will be deployed to Targeted Release customers by the end of February 2019 and to all Office 365 production customers by the end of March. Megamenus have already arrived in my personal tenant, and there are definitely some things you will want to think about before you go mega crazy! Megamenus will be available for communication sites (and a hub site if it is a communication site). You will get two choices: cascading menus (the current three-level fly out option) or megamenus (which also have up to three levels). The option is available in the “Change the look” pane for Site Owners. Once the option is selected, you can use the navigation Edit menu to add and update links. Megamenus are really helpful when you have a lot of content to present on your site. Remember to think about who is using the site — and what their top asks and tasks are — and plan accordingly. The nice thing about megamenus is they allow you to show every major option at once — without scrolling. They also allow you to create a visually engaging navigation experience because you can show multiple levels at the same time. Too many links can overwhelm your users. Try to group link options into related sets and order the groups in a logical way. Try not to duplicate links in the same menu tab to avoid confusion. Do your best to keep it simple. 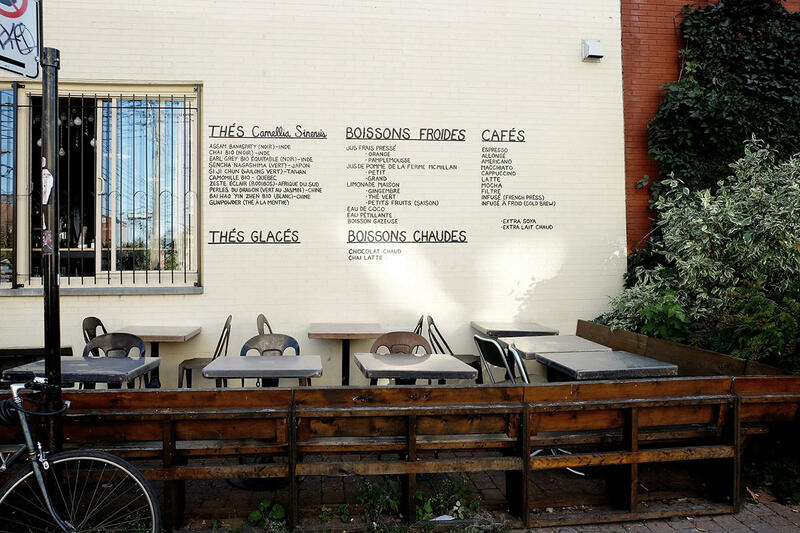 Whether you are using megamenus or cascading menus, the words in your labels matter. They need to resonate with the visitor — don’t make up terms because they are cute; use terms that your visitors will recognize. Use concise and descriptive terms. For example, Company Information instead of Information about our Company. Make sure your labels are mutually exclusive. Please avoid using my least favorite label: Quick Links. Are all your other links slow? If you have a nicely organized cascading menu on your site, you will likely find that you can't just flip the switch to megamenu and still have a good user experience. (I tried, and believe me, it wasn't good!) With megamenus, you have two choices for your links: Header and URL. The Header option allows you to create a link category that doesn't go anywhere — it is just a way to group sub-links. To create the nicest user experience, you will want to use all three levels of links in your megamenu. The first level is the tab (see Find It in the example megamenu). The second level is the category (see My Career & Benefits, Policies, Fun Stuff, etc. in the example). Both the first and second levels should be Headers, not URLs. The third level is the best place for your URL links (see Contoso HR, Benefts, etc. in the example). Phone a friend – test! Even if you are planning a single site and not an entire intranet, it’s a good idea to test your proposed navigation with prospective visitors. Make sure your Category labels resonate and that all of your link labels are clear. You don’t have to do an elaborate usability test (but you can!) — just ask some colleagues, "What would you expect to find in this category?" If your site has a broad reach, however, it’s worth testing any proposed navigation structure — cascading or megamenu — with prospective visitors. I like using tree testing for this purpose. I couldn’t be more excited to get another navigation approach added to my IA toolkit for SharePoint online! 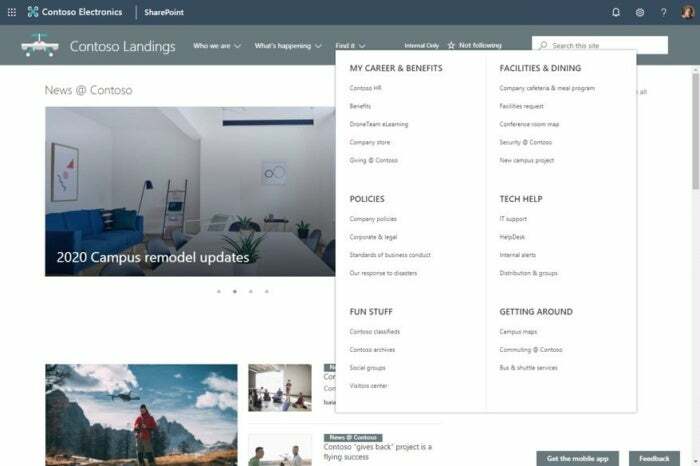 Learn how to customize the navigation on your SharePoint site and review the Microsoft (and my) guidance on planning navigation for the modern SharePoint intranet. Susan Hanley is a consultant, author, and Microsoft Office Apps and Services MVP. She specializes in helping organizations build effective portal and collaboration solutions using SharePoint as the primary platform.